Sri Lanka’s most customer-friendly bank, HNB PLC, announced the launch of its radical revamp to its General and Minor Accounts, Avurudu Savings Promotions with the introduction of a first-of-its-kind 50% interest free cash advance on deposits made with the bank during the month of April in addition to a special range of gifts and vouchers for Singithi deposits, in celebration of the Sinhala and Tamil New Year. Through the new promotion customers that place a minimum deposit with HNB of Rs. 50,000 will be able to avail themselves of a maximum cash advance of Rs. 25,000. The maximum deposit amount accepted by HNB will be Rs. 2 million while repayment on advances can be made after 12 months, or on a quarterly basis. “At HNB we are always focusing on how we can improve on the value we give our customers. That is why we have totally revamped our promotion for this year in order to put the most value in hands our depositors, so that they in turn have maximum choice on what and how they spend their festival bonus – whether that be shopping for loved ones, settling a debt, or for any other purpose as they wish. 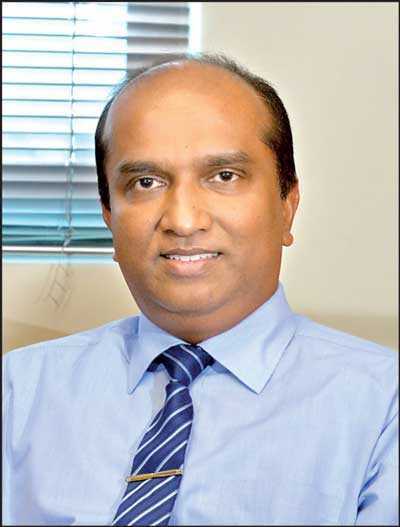 “Therefore we warmly wish our customers a happy Sinhala and Tamil New Year and invite each of them to avail themselves of this unprecedented offer and save while they spend – or even better – invest – while having peace of mind that HNB is here to support you,” HNB Senior Manager – Deposits Viranga Gamage said. Meanwhile, HNB’s youngest and most valued customers will also get a chance to double down on their savings this Avurudu season, with the bank offering all Singithi Lama, and HNB Teen account holders special gifts and vouchers on deposits made till 30 April, until stocks last. This year, a deposit in a Singithi account of Rs. 7,500 will entitle the account holder to a gift of a Branded Jumbo mug, while deposits of Rs. 15,000, Rs. 25,000 and Rs. 50,000 will respectively receive a digital alarm clock, a trendy pencil case, and a trolley bag. Additionally, deposits of Rs. 100,000 and Rs. 250,000 will receive gift vouchers for Rs. 7,500 and Rs. 17,500 respectively. The Asian Banker Magazine in addition to being declared Best SME Bank, Best Digital Bank and the Best Cash Management Bank in Sri Lanka at the Asiamoney Awards 2018.